I don’t know Alan. But after reading his book, ‘Of Love and Stone’, I found myself wanting to know him. I once heard that was a measure of a good writer. If the writing makes you want to meet the author, you know they’re onto something good. A little over a month ago, a friend of Alan’s contacted me to see if I’d be interested in reviewing his book for my blog. Of course, I agreed – not only flattered, but excited for the opportunity. The book juxtaposes Alan’s remembrances of his marriage, the trials and tribulations along the way, and the eventual divorce, with the spring and summer he spent following the divorce in Yosemite valley. Many of his recollections and thoughts were familiar to me. The difficulties posed by a relationship, realizing you’d like the relationship to succeed above all else, returning to climbing when the relationship has failed. I had been through that before (not a divorce after years of marriage and a child, but in my own way), and I could relate to all the feelings Alan described. At each chapter of the book, I found myself longing for the other part of the story from the previous chapter. It was eery how much that reflected a very common experience among climbers – the inability to requite their love life with their climbing life. When only one of those lives is present, things always feel off balance. It was amazing how well ‘Of Love and Stone’ reflected that very feeling for me. My favorite thing about Alan’s book was the author’s voice. The tone is familiar, down to earth, uncertain about its own conclusions, inviting debate, discussion, and dissent. It reads somewhat like a memoir, but its subject matter is worthwhile for anyone who has ever struggled to unite those two aspects of their lives that often seem to mix like oil and water. In that way, it is a tale that should have broad appeal among climbing circles. Alan’s writing is honest, earnest, and reflective – and most of all, uncertain. Rather than claiming to have the answers, he leaves open ended questions: where did we go wrong, what could I have done better, how did we miscommunicate so deeply? The passages about climbing were also touching to a misanthropic old luddite like myself. As Alan elucidated the strict ethics of his early climbing years, swami belts, and offwidths, I found myself feeling nostalgic for a time I was not part of, but always wished I had been. 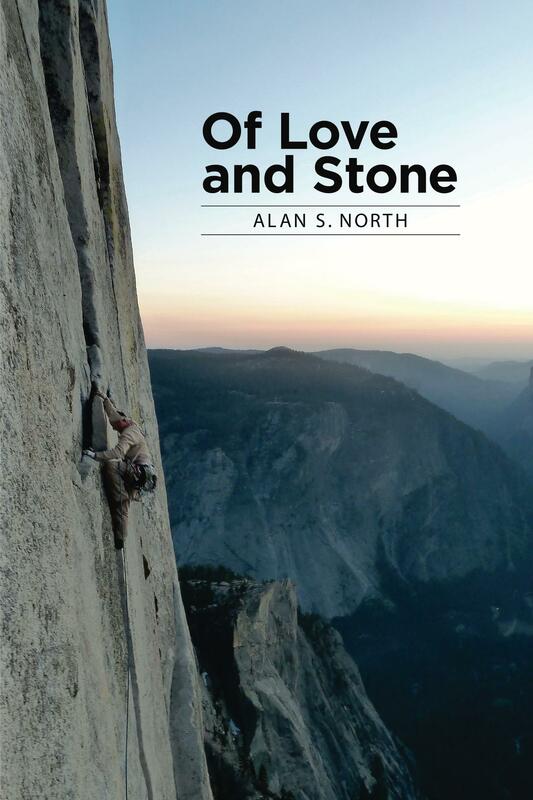 And of course, if you’ve ever spent any time in Yosemite, reading ‘Of Love and Stone’ will make you long for all of that experience – even waiting in line for a site at Camp 4. ‘Of Love and Stone’ is a beautiful book. It is not Ernest Hemingway, or John Steinbeck, nor was it the author’s intention to write the Great American Novel. Like his climbing, Alan’s writing is humble, yet confident – playful, yet serious. If you’re in the mood for a 5.12 offwidth, go for Dostoevsky. If you’re feeling more psyched on a lap up Royal Arches, try ‘Of Love and Stone’. Alan’s book is as comfortable to read as it is to tie in with a good friend, and cruise a long mellow classic. If that’s what you’re looking for, you won’t be disappointed. You can buy Alan’s book in print HERE, or get it for Kindle HERE. Big thanks from FF to Alan for sending out the book, and to Alix Morris for putting us in touch. Buy a dirtbag a coffee, and buy the book!